Technical efficiency alone does not guarantee success. Individuals in leadership positions also require equal proficiency in soft skills. 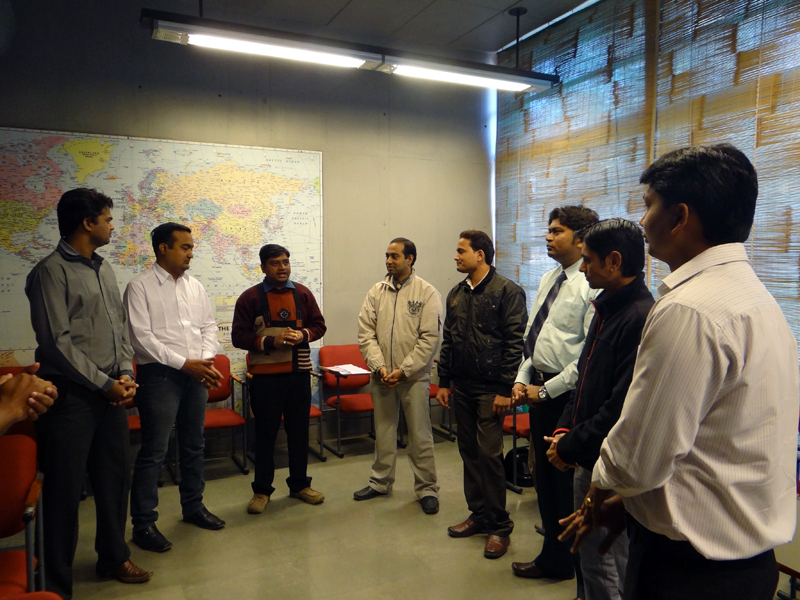 As a part of IndiaNIC’s ongoing effort to provide employees with a positive platform for all-round learning, the company organized a workshop for Tech Managers & Leaders at AMA, ATIRA Campus, Ahmedabad on 27–28 January, 2012. The workshop was facilitated by Hemant Nag & Vishal Kulshreshtha, and it was attended by Tech Managers & Leaders from IndiaNIC. The lectures were interspersed with a number of fascinating anecdotes, examples, and videos. The debates and discussions that followed the sessions allowed the participants to take a peek into the psyche of their colleagues. Several entertaining games and group activities enlivened the workshop and fostered an environment of learning with fun. The participants were blown away by the concept of Johari Window; this session helped them learn a lot about themselves, and also about how they were perceived by their peers. The members also learned dozens of different learning attitudes and ways in which to employ this knowledge. The inspiring ambience of AMA ignited passionate discussions during the lunch breaks, and the participants waited keenly for the new sessions to start. After two energizing days of the soft skills workshop, the Tech Managers & Leaders were eager to put their newfound knowledge into practice.